With the discovery of the DNA double helix in 1953 and the announcement of messenger RNA in 1961, groundwork was laid for cracking the human genetic code. Just five decades later, in 2001, the Human Genome Project first began sequencing individual human genomes. Today, genetic testing is common. Provider orders are no longer necessary, and the cost is relatively low, with commercial DNA sequencing companies charging as little as $300 (approximately £225) to decode the human genome. Consumers send saliva samples and payment, and the results, which can arrive in a few weeks, typically indicate people’s relative risk of developing certain diseases, as well as their carrier status for specific defective genes. Reports may also indicate what personal traits individuals could have inherited, how a particular genetic code may affect medication efficacy, and the relationship between genetics and environmental influences so that specific health problems can be anticipated. As a result, more than 500,000 human genomes had been sequenced as of 2017 (Herper 2017) and global sales of genetic tests are expected to hit $10 billion (more than £7.5 billion) within ten years (Pitts 2017). Hansen (2016) suggests that more than one billion people worldwide will have their DNA mapped and checked every year by 2025. Hansen goes on to say that ‘if that trend continues, such sequencing eventually will become another standard lab test that doctors order as part of every patient check up, making the promise of precision medicine a practical reality’. In addition, healthcare will evolve to focus on preventing diseases rather than treating illness. Clearly, having genetic data can lead to better care and patient empowerment, but there are ethical dilemmas associated with safeguarding such personal information as well as potential emotional consequences for consumers in uncovering unknown medical data without the support of primary care providers. In addition, some genetic tests have limited predictive value or may be incomplete, leading patients to consider decisions with only some of the information they need. 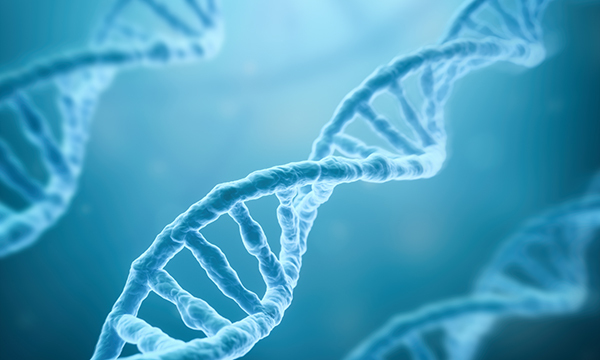 Many ethical questions exist about whether relatives of someone with a positive predictive genetic test should or must be told about the results. As patients gain access to information about their personal genetic sequencing, they are increasingly asking healthcare providers to help them make informed decisions about what they should do. Unfortunately, many providers have limited knowledge about genetics. With the average age of the practising nurse being in the mid- to late forties, it is highly likely that nurses learned little about what was then a newly emerging field of study as part of their initial nursing education. The outcome is that many nurses lack the self-confidence and skills needed to obtain genetic family histories, identify individuals at high risk for developing genomic-influenced conditions or drug reactions, and assist consumers in making informed decisions about genetic testing results and therapies. Clearly then, genetics is now a requisite competency for nurses. Essential Nursing Competencies and Curricula Guidelines for Genetics and Genomics, published in 2006 and updated in 2009, were developed by an independent panel of nurse leaders from clinical, research and academic settings (American Nurses Association (ANA) 2008, National Human Genome Research Institute 2013). The goal of this work has been to have a minimum standard against which to prepare the nursing workforce to deliver competent genetic- and genomic-focused nursing care and to ensure that the recommendations are integral to the practice of all registered nurses regardless of academic preparation, practice setting, role or specialty (ANA 2008). Since then, many reports and advisory bodies have concurred that genetics is a critical competency for nursing practice. With nursing practice increasingly including genetics and genomics along its pathways of prevention, screening, diagnostics, prognostics, selection of treatment and monitoring of treatment effectiveness (ANA 2008), nurse leaders must create change in practice and education that establishes genetics as an essential nursing competency. The public’s health depends on genetic information and nurses should be the translators of it. American Nurses Association (2008) Essentials of Genetic and Genomic Nursing: Competencies, curricula guidelines, and outcome indicators. Second edition. Hansen D (2016) From DNA mapping to self-driving cars: 5 predictions for our digital future. Herper M (2017) Illumina promises to sequence human genome for $100 -- but not quite yet. National Human Genome Research Institute (2013) Essential Nursing Competencies and Curricula Guidelines for Genetics and Genomics. Pitts P (2017) The privacy delusions of genetic testing.